But wait, there's more! I've actually completed 19 mittens so I'll be posting regularly until I'm caught up on reporting my FOs (finished objects). 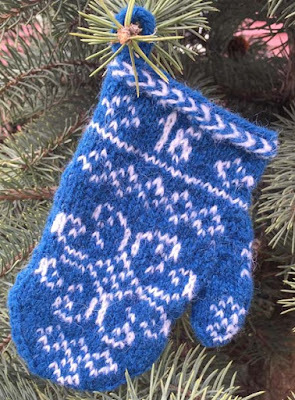 I have 5 more to knit before December in order to have the complete set of Advent Mini-mittens ready to use this year.